If we were deporting them like we should, there would probably be a lot less. I'm sure a lot of them have been in prison since the Bush and Obama administration. However, that doesn't excuse Trump because he isn't exactly setting the world on fire with deportation. Right now it seems more are coming in than are going out. In an exclusive report on the The Ingraham Angle last evening (Fox News 10 P.M. E.T. ), U.S. attorney Zachary Terwilliger broke major news about the DOJ's brand new report on the number and costs of the incarceration of illegal aliens in federal custody. The segment, and the comments by Terwilliger, the U.S. attorney for the Eastern District of Virginia, and Ingraham further expose the Left's persistent lie that illegals in the U.S. commit additional crimes at a lower rate than U.S.-born citizens. Zachary Terwilliger on The Ingraham Angle, Fox News April 16, 2019. Screen capture by Peter Barry Chowka. Video of the segment courtesy of Fox News can be watched here. Hopefully, the new DOJ report on the massive number of illegal criminals in federal custody will be given the wide attention that it deserves. The report, it should be noted, does not include illegals who are in jails and prisons at the state and local levels — a number that is "significantly greater," according to Ingraham, than the number of criminal illegal aliens in federal custody. Five days after his inauguration, President Donald Trump signed Executive Order 13768 entitled "Enhancing Public Safety in the Interior of the United States." In this order, he required the government to release certain documents detailing the effects of illegal immigration. Subsequently, the Department of Homeland Security and the Department of Justice began releasing the quarterly Alien Incarceration Report. Previous reports, including the quarterly report released on June 7, 2018, are available online. This new one will be soon, as well. This dictates that about one in four — or about 25 percent — federal inmates are born outside the U.S. and came to the country either illegally or legally. The DOJ data does not factor in the number of foreign-born inmates, illegal aliens, or legal immigrants who are currently in state and local custody. 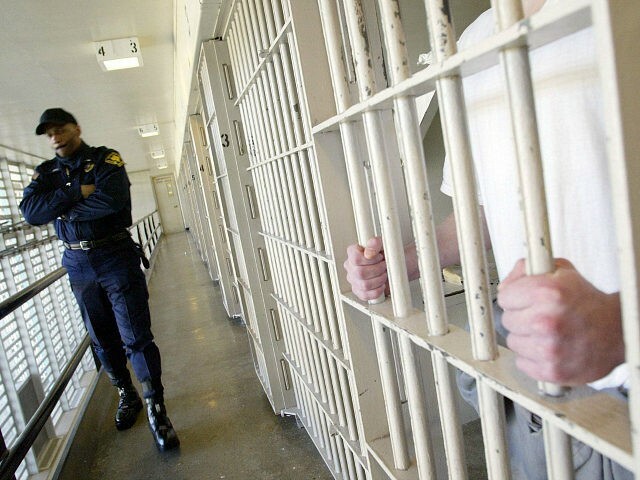 The vast majority, about 90 percent, of the country’s criminal population are held in state and local jails. Bill the Koch Brothers and Soros for every dime of this! Fine and jail the employers!